Small cache container near the Mt. 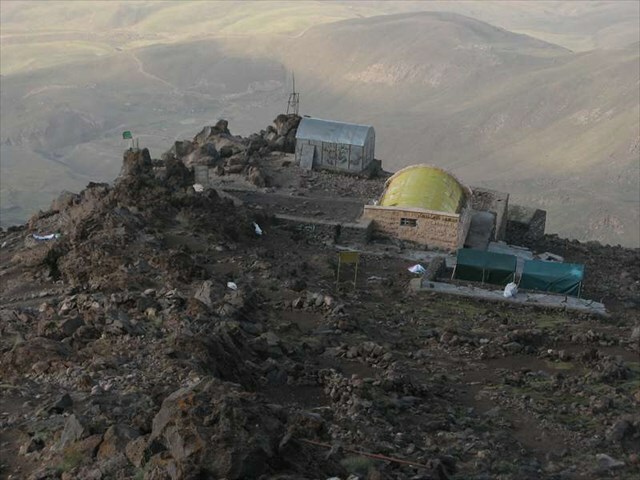 Damavand High Camp 'Bargah-e Sevom' in 4330 m altitude. If you want to climb Mt. 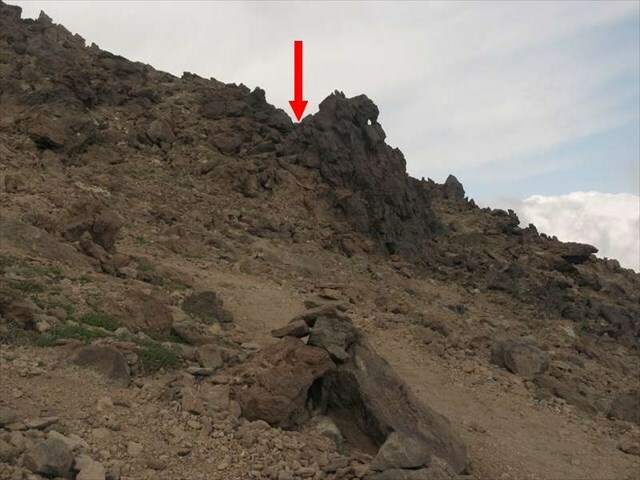 Damavand via the southern route (the most popular route), you will find the High Camp 'Bargah-e Sevom' as the summit day starting location. 'Bargah-e Sevom' (بارگاه سوم) means Third Royal Court. 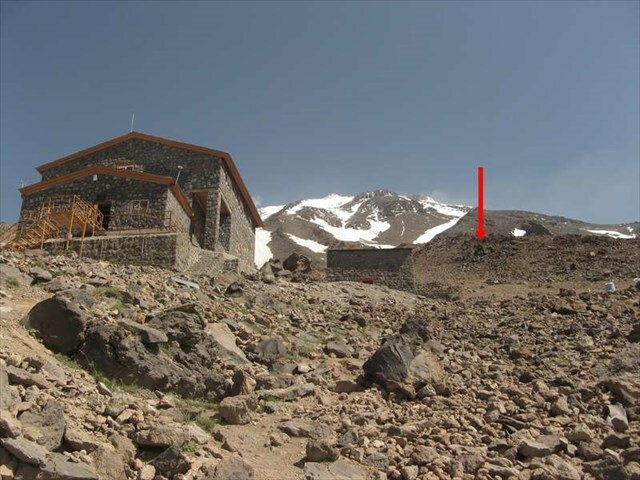 It consists of the old shelter at elevation of 4220 m, a camp ground and, some 30 meters higher than the old shelter, the new lodge which was constructed in 2006. It offers about 80 sleeping berths, a dining room, and a praying room (نمازخانه). The cache is located about 180 m away from the new lodge. To get it you have to climb from the lodge about 80 m upwards in direction to a large black rock. 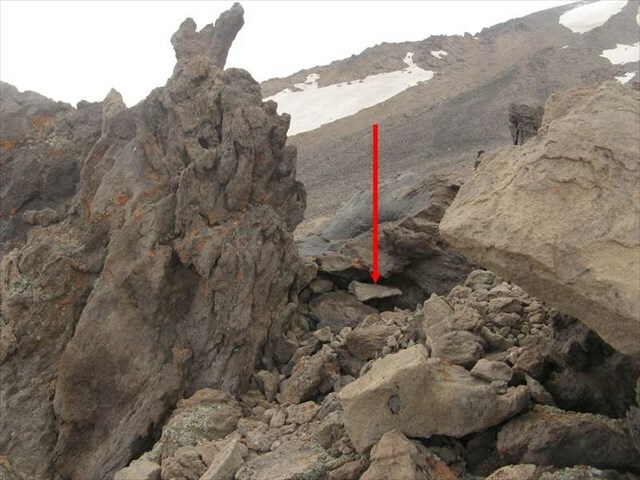 The container is hidden in a crevice behind some stones. Please refer to the spoiler photos. If you want to climb Mt. Damavand, you need an adequate acclimatization. It is recommended to spend two nights in the High Camp with an acclimatization tour before starting to the summit. Warm clothing, good mountain boots and, depending on weather conditions and season, also climbing equipment could be necessary. There is no log condition for logging the cache. You only need to find the box and sign the logbook. But I would appreciate if you write whether you climbed the summit or not, and a short report about your climbing. Also pictures from you on the summit and other photos are welcome.